It’s nearly here! As Thanksgiving closes in, we get closer to the official kick-off to the holiday season. And with events such as Black Friday, we get Liquidation Channel’s eagerly anticipated Doorbusters! This once a year event is truly a showcase of savings. These deals, with rock bottom prices, represent the very best offers of the year, and are one of the ways we love to show our appreciation to you, our LC Family! Check out our sneak peek below. Update 11/24/16: Start Shopping Doorbusters! Less than 24 hours remain! Tomorrow we unveil our full selection of Doorbusters when you shop with your LC! We hope you’ll feel as excited as we do perusing this stunning selection. With a stunning selection of genuine gemstones, which will become your new favorite? Behold the power of cubic zirconia with this selection of stunning simulated diamonds! Whether you choose the warm red glow, or dark and mysterious black, you can’t go wrong! 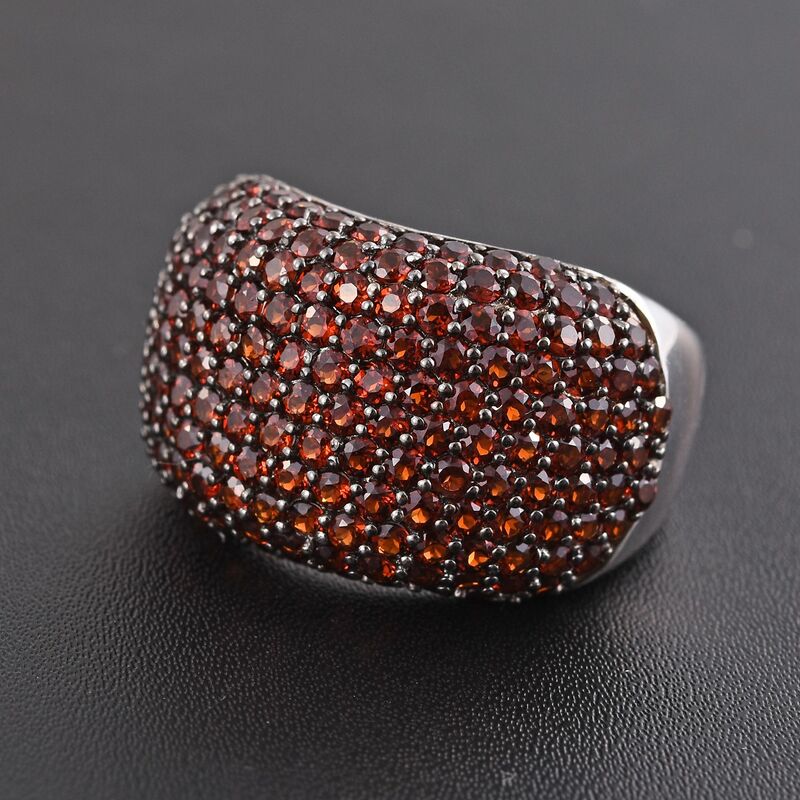 Round, faceted stones are prong set for security. Crafted from sturdy sterling silver, these bracelets feature and ingenious sliding toggle to keep them secure! If you’ve ever had trouble deciding a favorite color, then this bracelet is for you! 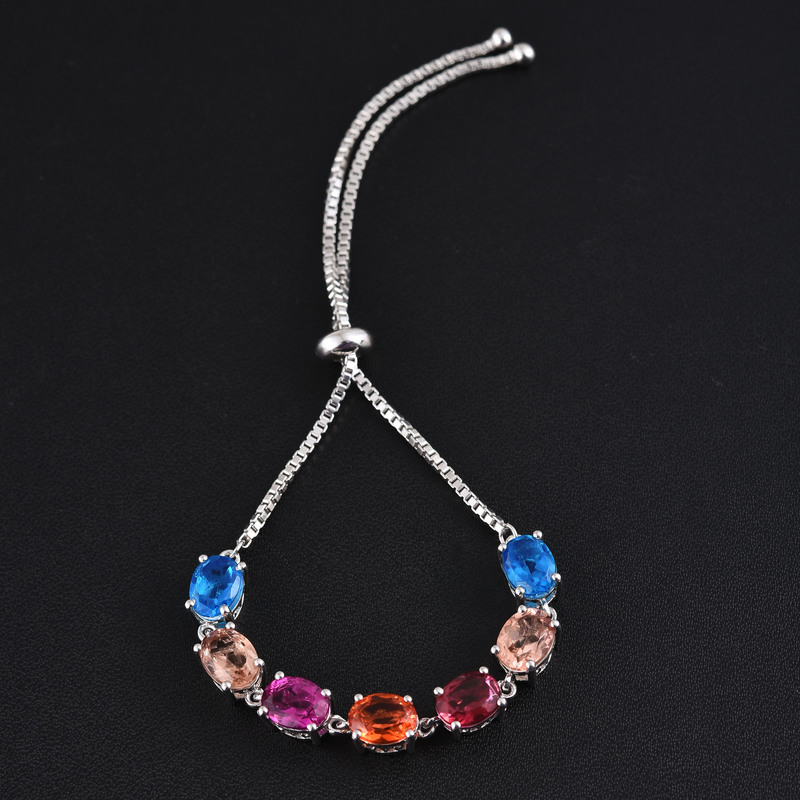 Featuring a kaleidoscope of color from our vibrant range of triplet quartzes, don’t miss the chance to get your hands on this multi gemstone bracelet. 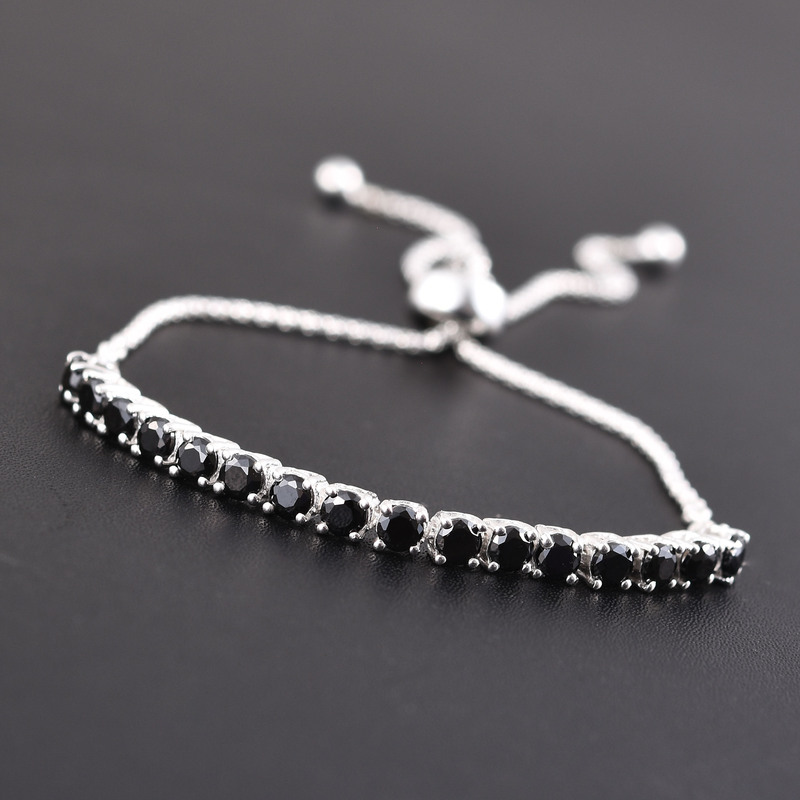 Sizable quartz triplets are prong set across the breadth of this bracelet in secure sterling silver settings. A platinum finish helps every stone gleam at its finest! And don’t worry, the sliding toggle clasp helps keep this beauty secure against your wrist. 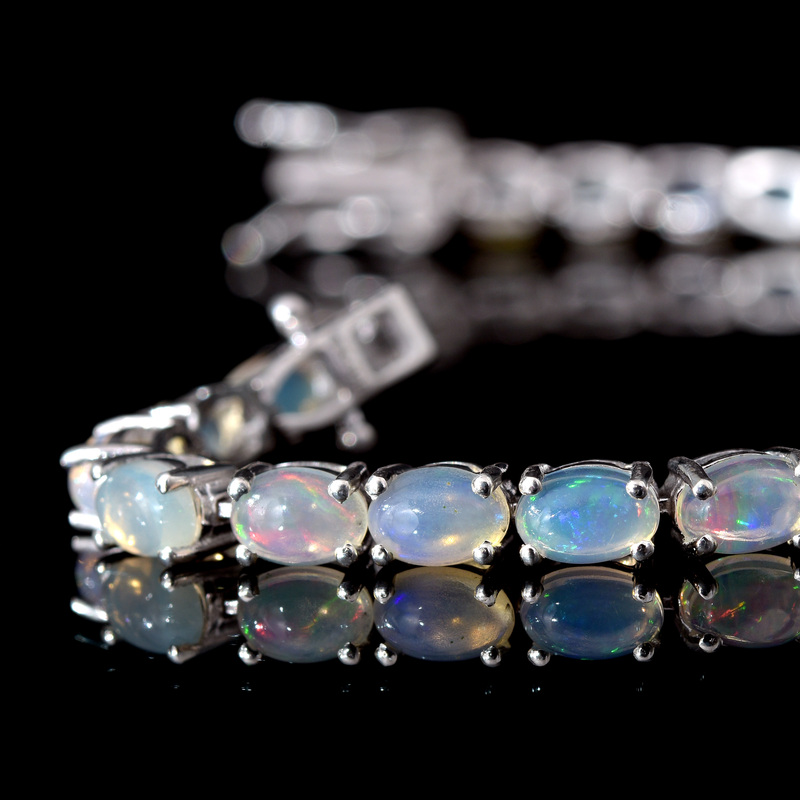 See what the fuss is about and discover the brilliant fire found within Ethiopian opal. Watch as you turn the stones and see the fire play across the surface of these white gems. Expertly shaped oval cabochons are securely set in sterling silver prongs. A precious platinum overlay completes the package, tying it all together with brilliant shine. In less than 48 hours all of our fabulous Doorbusters will finally be revealed! Until then, however, we’ll continue to present the amazing products that will be up for offer. 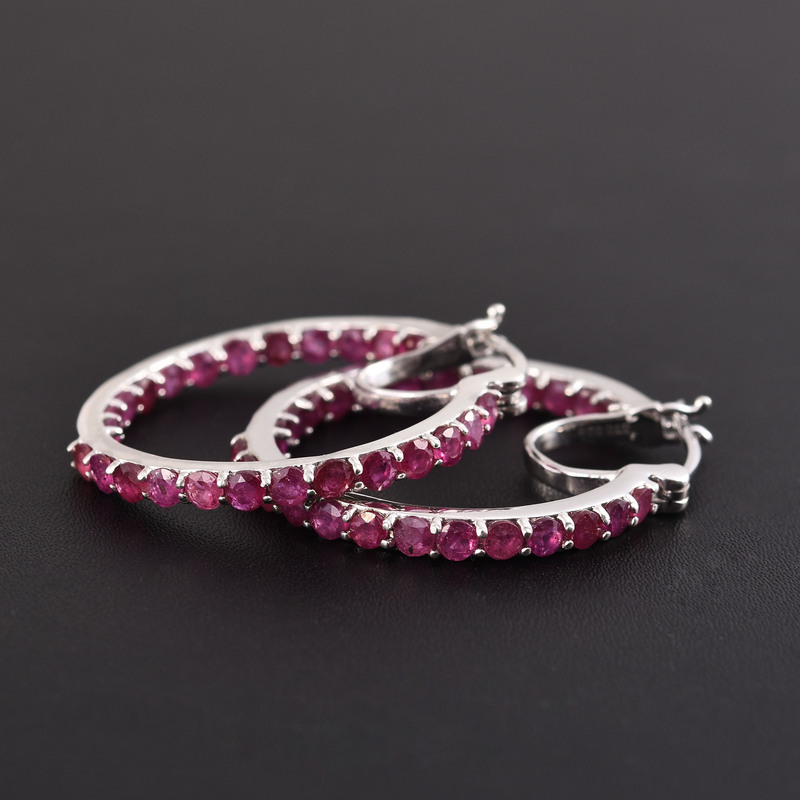 Today we present amazing hoop earrings, an enticing ruby bangle, and extravagant necklace to excite you. 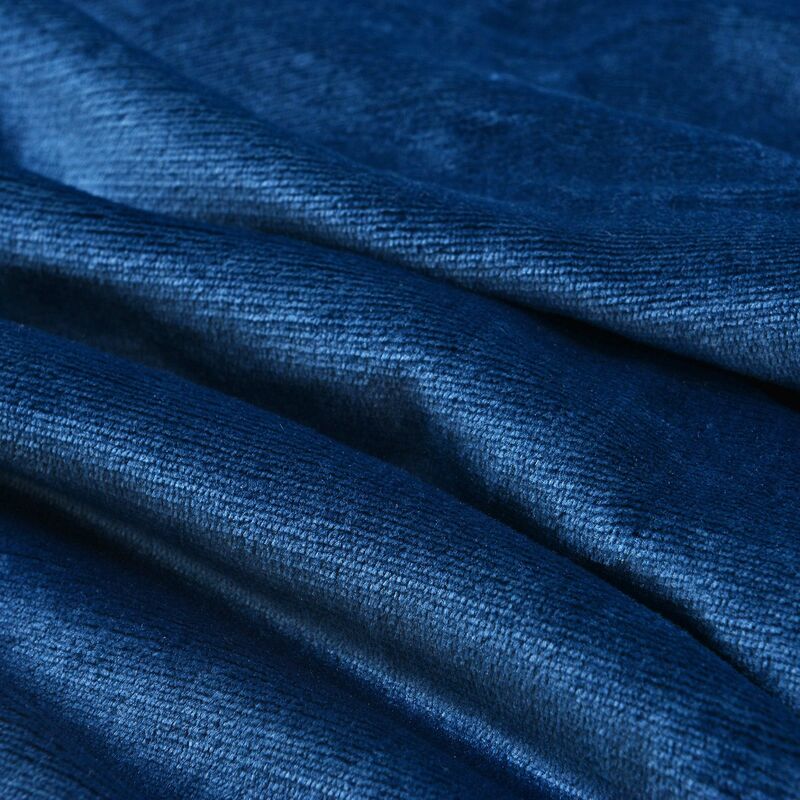 Get lost in the captivating deep blue hues of Kanchanaburi blue sapphire. Sapphire from this region is renowned for its color, and you’ll find it presented wonderfully in a precious sterling silver setting. Inside-out hoops capture vintage style while clip backs keep them secure. Long has ruby captivated with the passionate red tones it exudes. Niassa ruby presents classic ruby hues expertly presented in a prong setting. Precious platinum caps sturdy sterling silver construction in a stunning hoop setting. A classic inside-out design ensures that these gems are always on display. Divine Paraiba apatite from Madagascar completely dominates this enchanting necklace. Paraiba apatite is well regarded for its vibrant blue-green color. Platinum gleams over sterling silver craftsmanship to complete this 18-inch necklace. With over 30 carats of gems, you’ll be pleased to have a toggle clasp keeping this beauty secure around your neck. 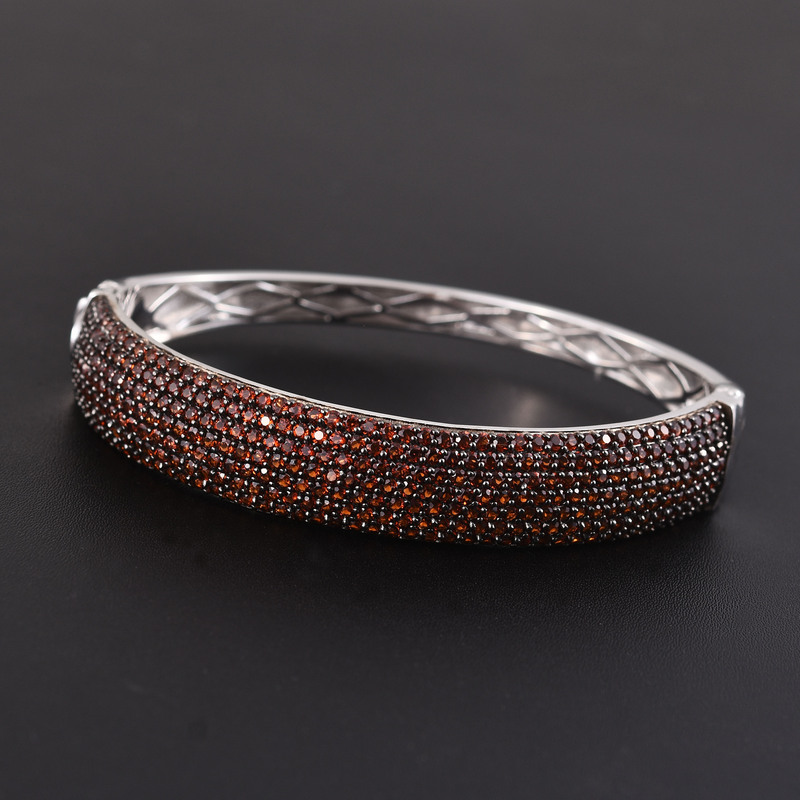 Over 300 expertly arranged garnet gems come together to create this masterpiece bangle! Pyrope garnets present deep red tones, only growing darker as the stones become larger. Smaller gems are used to show off the brilliant reds this stone is capable of achieving. Crafted from sterling silver, a platinum finish polishes off this stunning piece you’ll delight in adding to your collection. 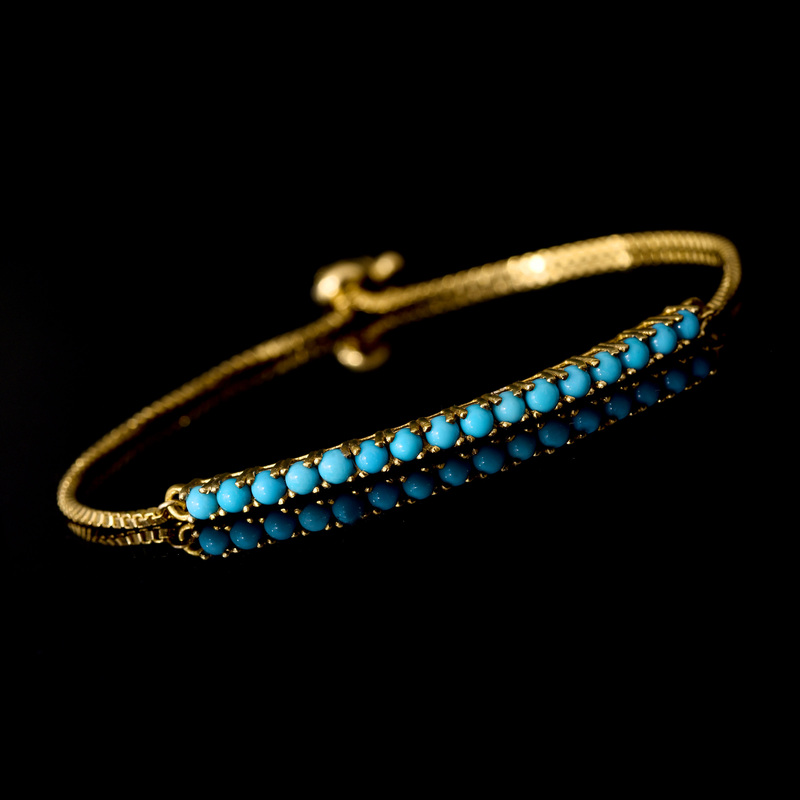 Tennis bracelets first received their name in the late ‘80s. Tennis star Chris Evert suffered a mishap on the court, where her in-line diamond bracelet became lost. She successfully had the match paused so that it could be found before resuming the game. From this incident, the popularity of these bracelets took off, and they’ve been known as tennis bracelets since. 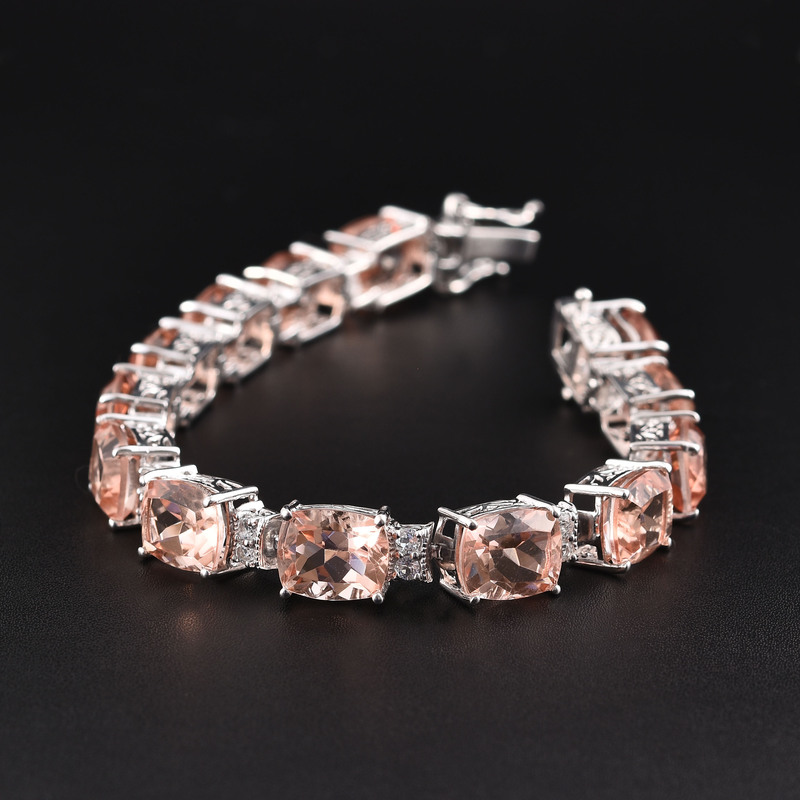 Pink Morganique Quartz takes to the court in this amazing designer tennis bracelet. Each sterling silver collet is prepared individually, making the construction of this treasure time-consuming and precious. Clear white topaz is interspersed between each pink stone, adding extra glitter alongside the brilliant platinum finish. 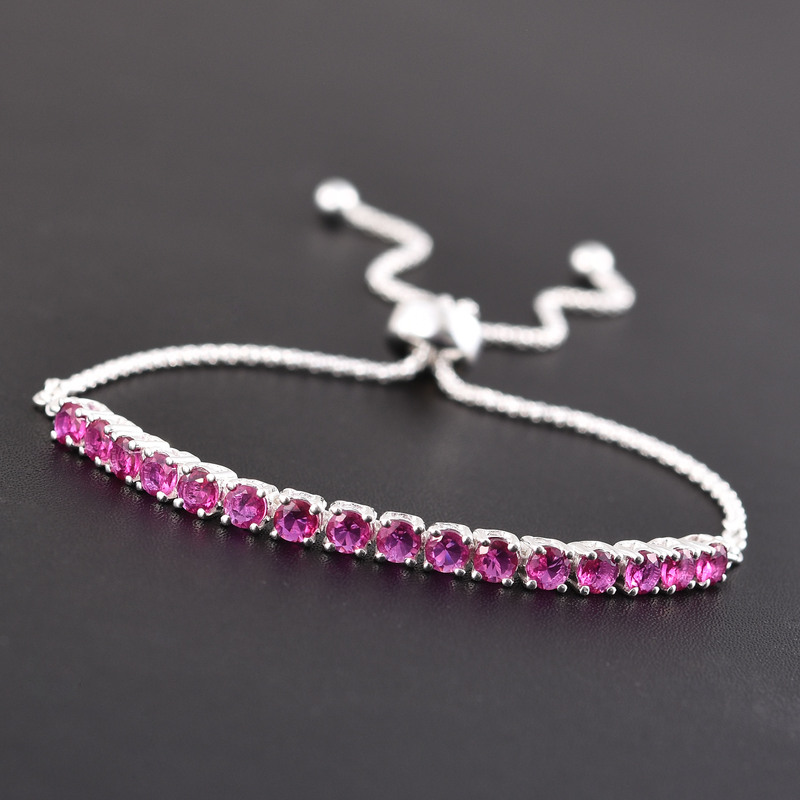 There’s no need to feel mean when this gorgeous bracelet is sure to bring a smile to your lips. 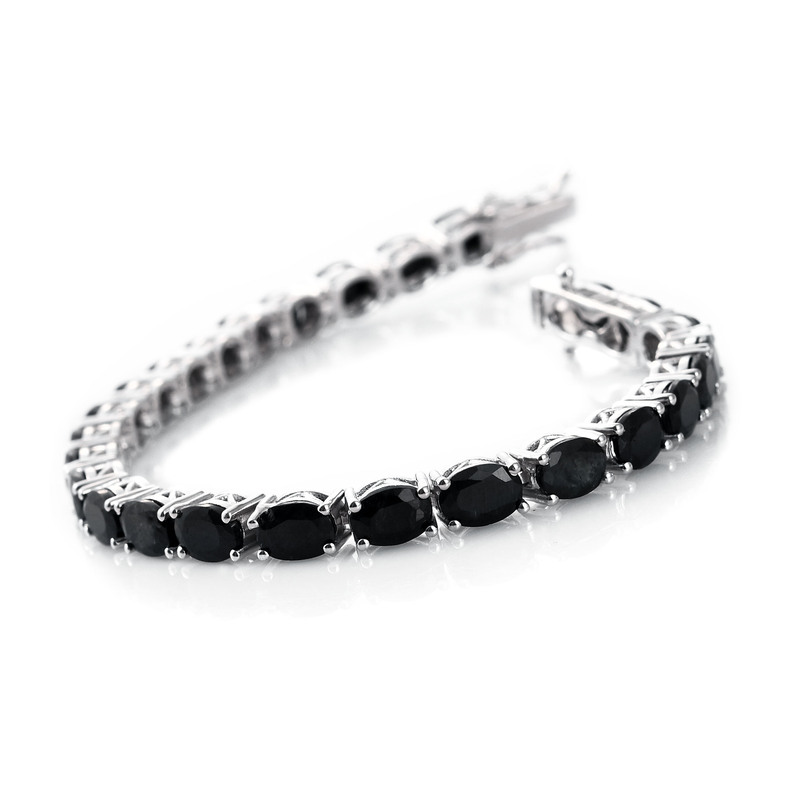 Stunning black sapphire seizes the day within this magical bracelet. Precision shaped faceted oval gems are prong-set in precious sterling silver. With over twenty-four carats of sapphire, black sapphire demands attention, no matter how it drapes over your wrist. A brilliant platinum finish sparkles alongside, allowing these gemstones to shine at their brightest. 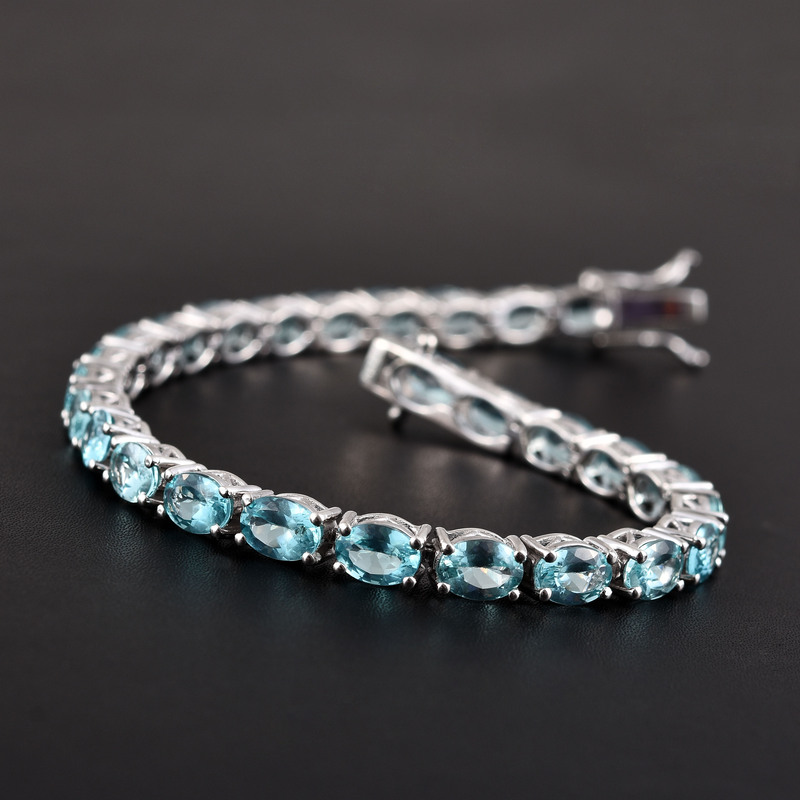 Paraiba apatite shines with its signature glow when presented in this marvelous tennis bracelet. A row of twenty-eight oval shaped stones is prong set in precious sterling silver. Gleaming platinum finishes the piece, helping these stones glow with their well-known inner light. Sapphire, Ruby, and Emerald have long been considered three of the most precious stones known to humanity. Now, with this Doorbuster, there’s never been a better time to add them to your collection! Free faceted stones are bezel set in precious sterling silver, making sure they gleam as much as the polished metal. A fun filigree motif adds extra elegance, making these rings an instant favorite. Gain otherworldly enchantment when your wear these seven-stone rings. 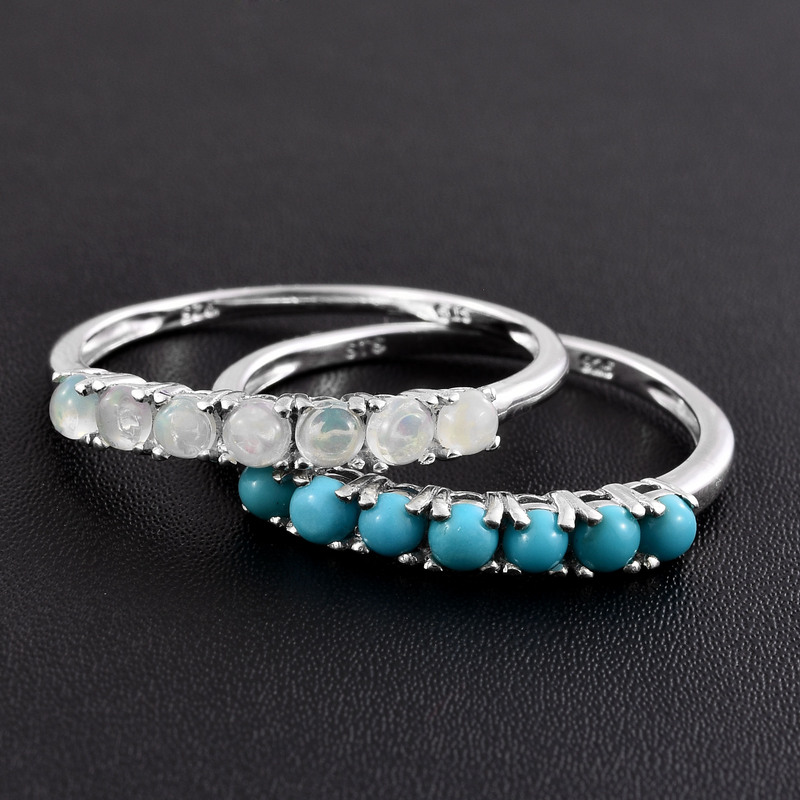 Featuring world famous sleeping beauty turquoise and Ethiopian Welo opal, these rings make a fantastic addition to any collection. 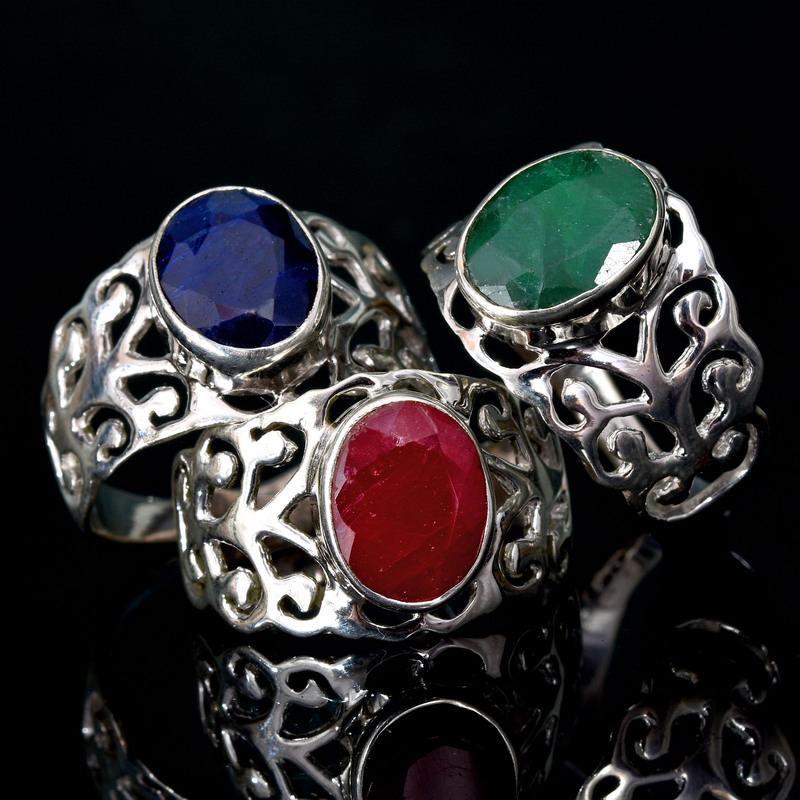 Rings are crafted from sparkling sterling silver, with each cabochon stone prong set for maximum visibility. Perfect for stacking, stuff your loved ones stockings with these amazing rings. 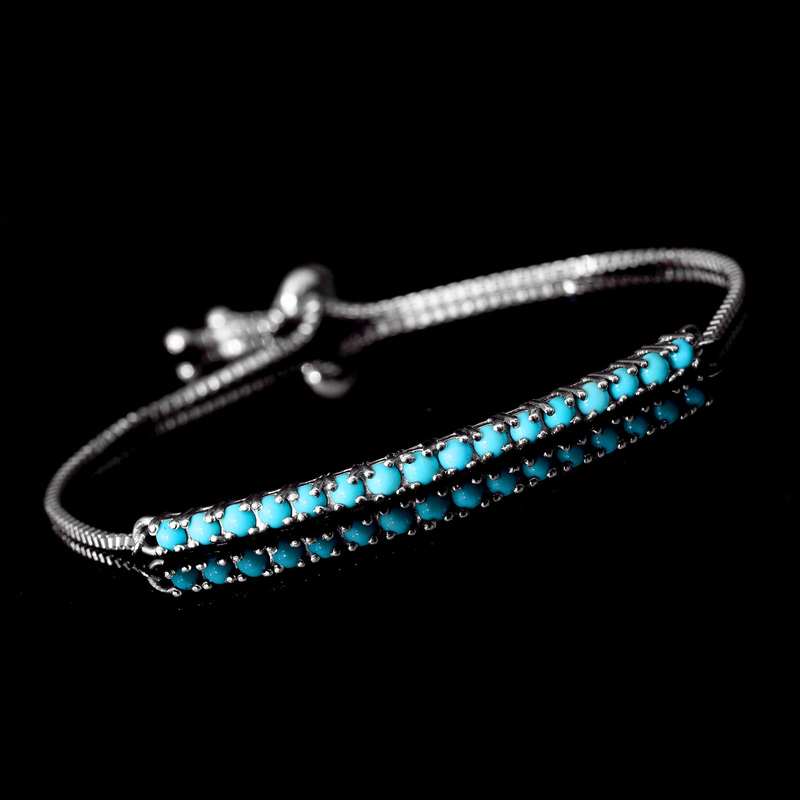 Embrace the brilliant and flawless sky blue of Sleeping Beauty turquoise with this fascinating bracelet. Finely crafted in sterling silver, each bracelet features a slider allowing you to adjust it to the perfect fit. Sixteen cabochon stones arranged in a line provide a focal point, allowing to pleasing color to work its charm. Choose from precious platinum over silver or brilliant 14k yellow gold over sterling silver. Update 11/15/16: Lend Me Your Ears! In this special update, we examine several captivating earring sets! Each set is paired to complement one another and make excellent additions to your jewelry collection. At special Doorbuster pricing, it’s easy to choose your favorite, or get them all to use as stocking stuffers! Featuring soft greens and delicate lavender colors, this set of two earrings are perfect for anyone wanting to inject a shot of subtle color into their wardrobe. Faceted round green and rose de France amethyst takes center stage. Crafted in sterling silver, prong settings show off these natural gems. Amethyst is the birthstone for February, making this a great gift! Light up the night with brilliant and bright citrine straight from Brazil! Alternately, opt for a more subdued look with mysterious smoky quartz. 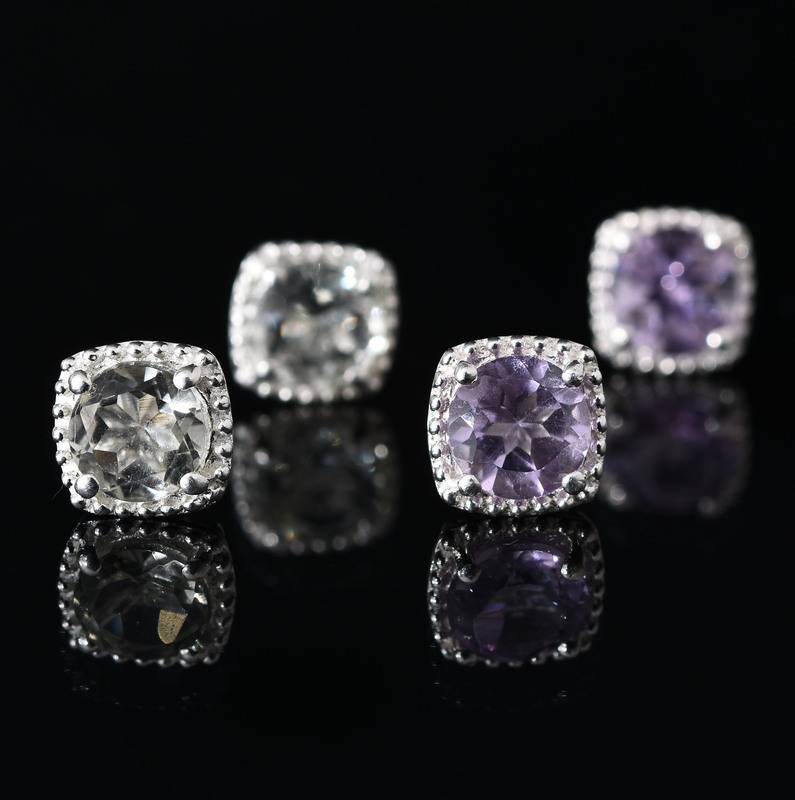 These natural gems are faceted into contemporary round shapes. 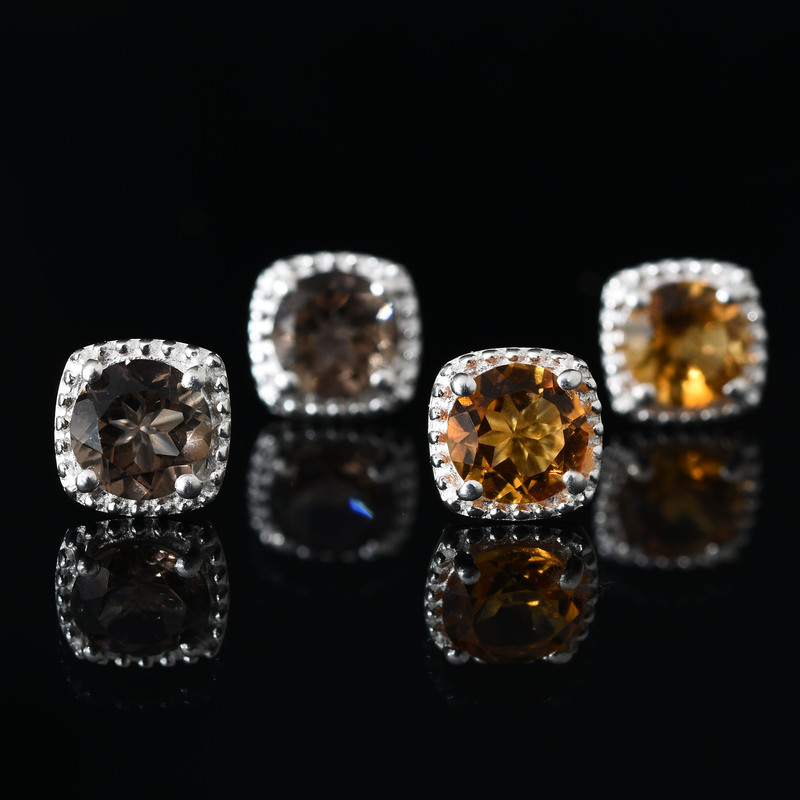 Each 6mm gem is carefully housed in sterling silver prongs, allowing each to glow effortlessly. Consider this pair for the November baby in your life, as citrine is one of this month’s birthstones. 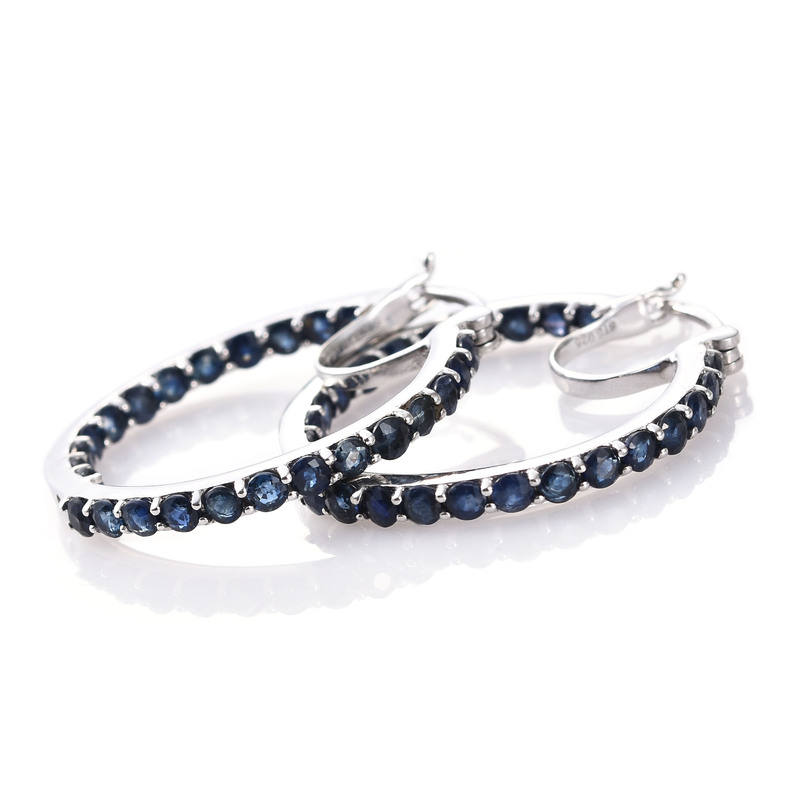 If you’re ready for warmer months ahead, check out this excellent earring set! With bright happy peridot, and soft sky blue topaz, here is an earring set that evokes a lush verdant meadow during spring. 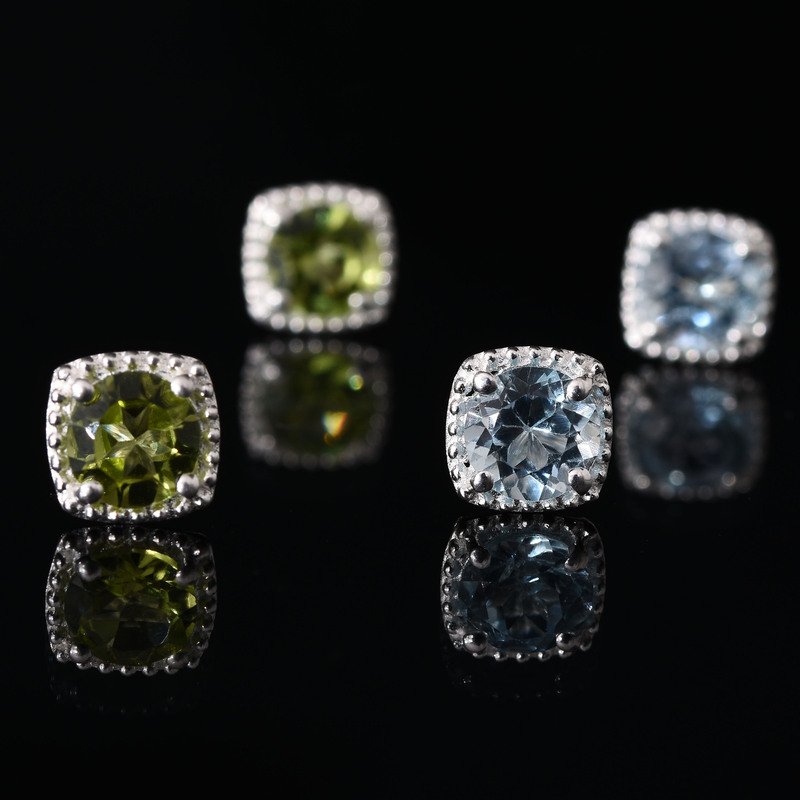 These colorful gems are housed in sterling silver to provide maximum shine. Peridot is a birthstone for August and topaz is a December birthstone. 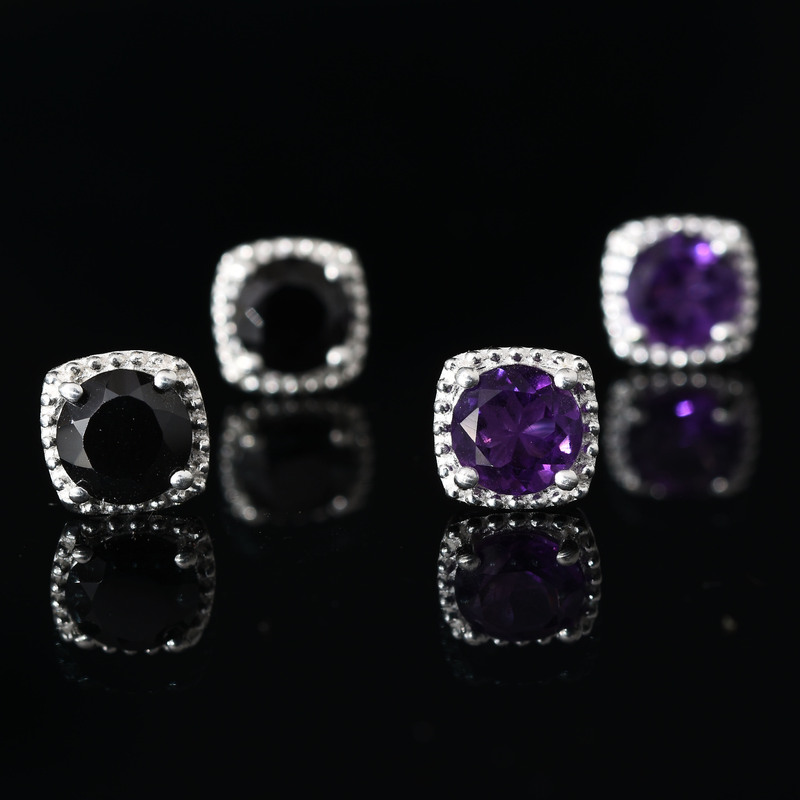 African amethyst enchants with deep purple hues in stunning stud earrings. Complementing this option is an equally stunning pair of black spinel studs! Providing a stark, provocative contrast to these dark gems is the earrings sterling silver craftsmanship, which is brought to a pleasing polish. Purple amethyst is the modern February birthstone. 11/11/16 Update: Your First Doorbuster Sneak Peek! 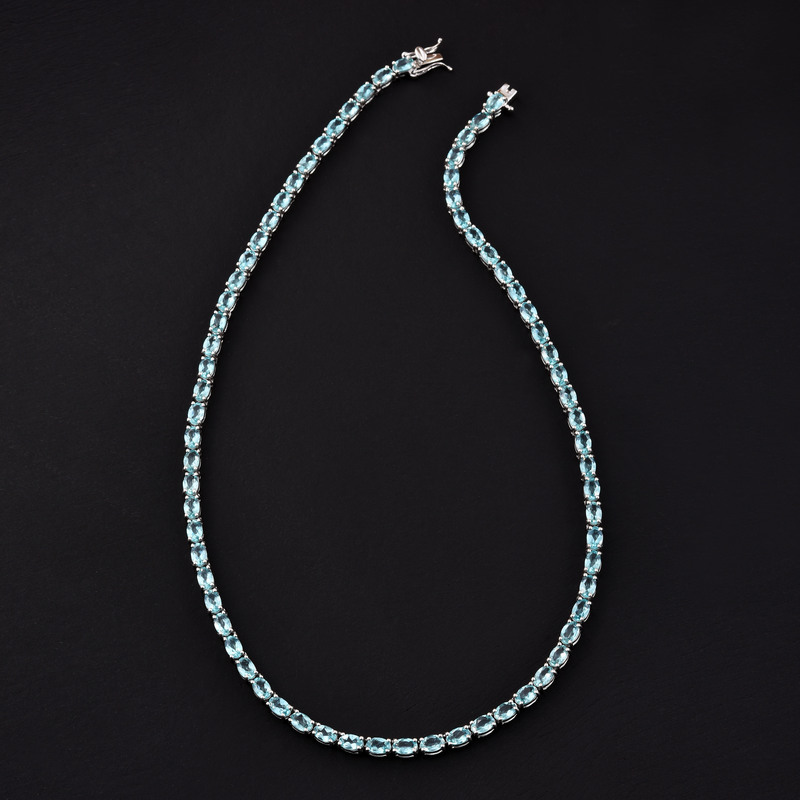 This Paraiba apatite necklace and bracelet are based on the concept of symmetrical balance. Stones are placed evenly throughout each piece, so that no matter how it’s worn, you’ll always have coverage. 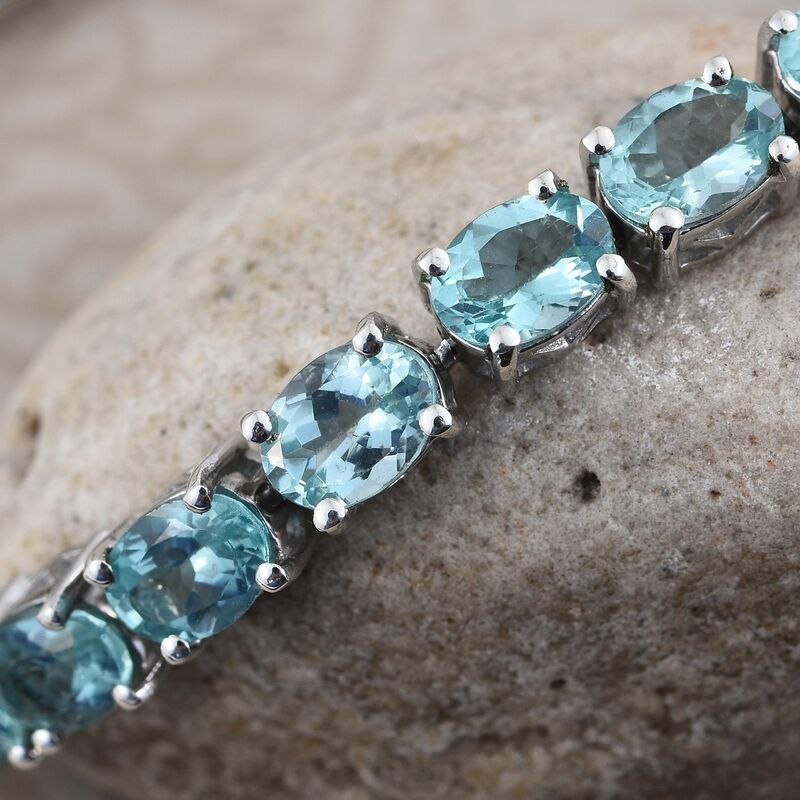 A rare variety of apatite, only about 10% of rough ever makes its way to becoming a finished gemstone! With a sporty theme, this tennis-style necklace and bracelet, set with tanzanite, provides an elegance touch of class no matter your occasion. A careful procurement of gems is required, ensuring that each and every jewel is perfectly matched with its partners. 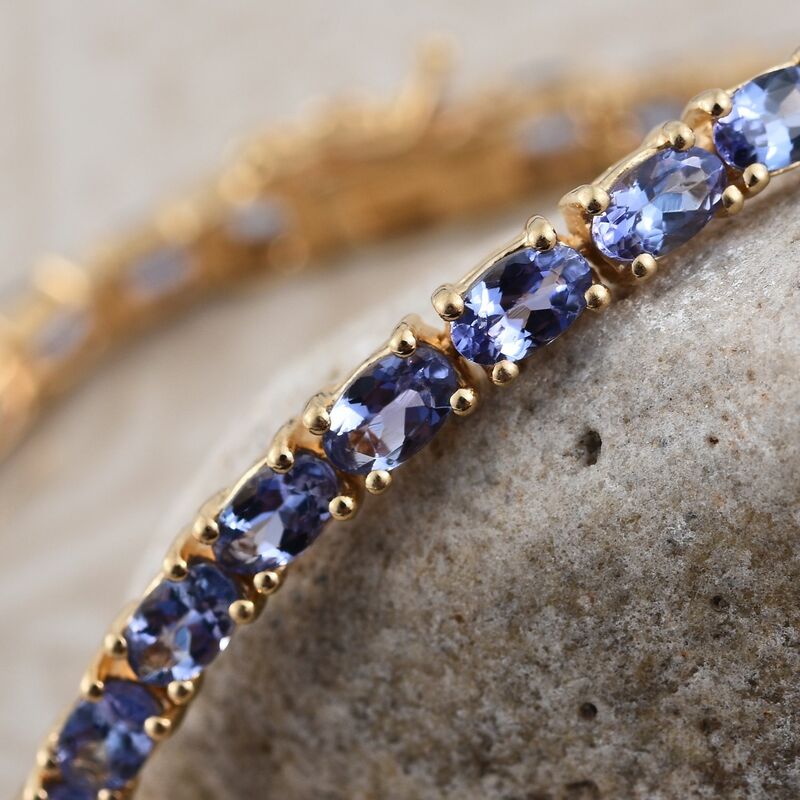 A 14K yellow gold finish on each piece provides incredible contrast for the blue-violet tanzanite gems! Featuring deep red pyrope garnets from Mozambique, this jewelry suite works great as a set or on their own. The bangle provides broad coverage, accenting your wrist in red. The dome ring is great for a spot accent with minimal work, letting it stand and shine. For a subtle accent, draw attention to your face with simmering hoops. 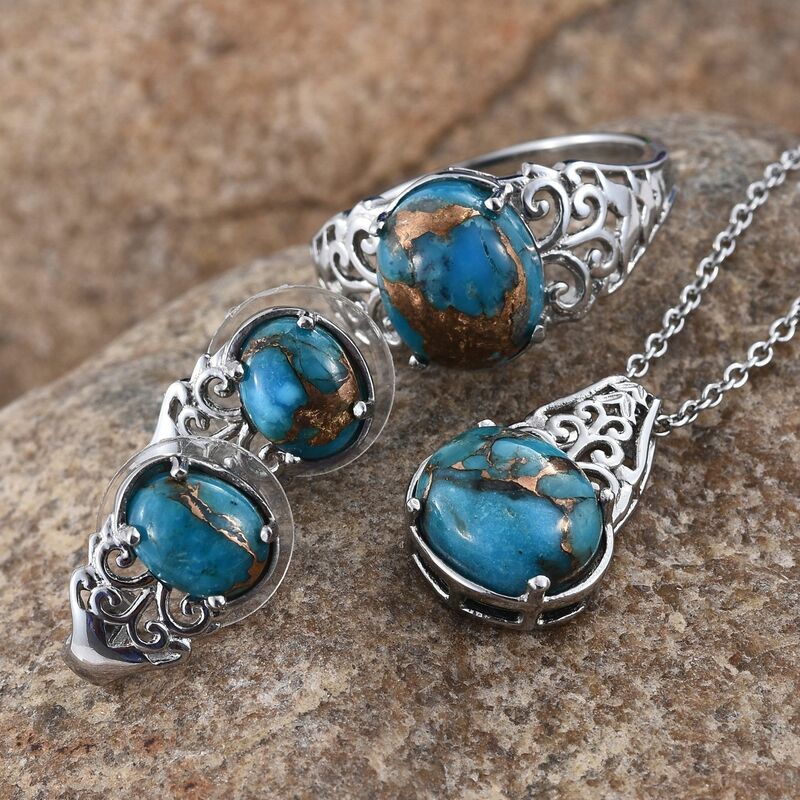 Available in a tantalizing selection of colors, this Mojave turquoise set makes the perfect gift – either for you or someone special! Featuring a ring, earrings, and pendant, including a chain, the jewelry suite can be worn together for a full look. Or, pick and choose your favorites to polish off your own custom look. Stainless steel is durable, making this a great option for everyday wear. These five multi gemstone rings are perfect for any occasion. Coordinate your selection to an outfit, or stack them for a blast of vibrant color! 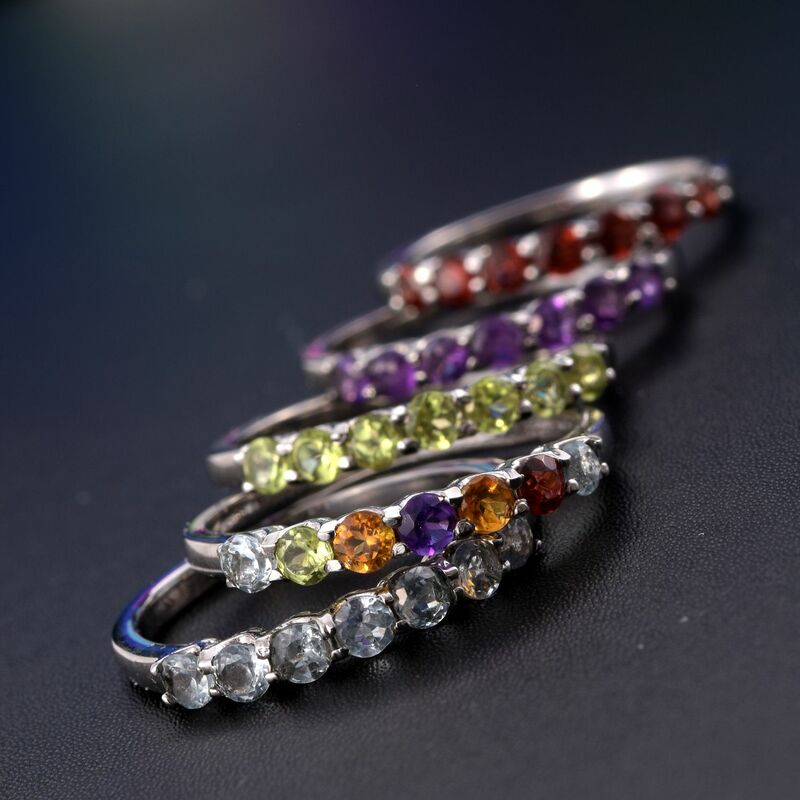 Featuring garnet, sky blue topaz, peridot, and amethyst, each of the gem rings is great on their own. Included is a multi-color gem ring, featuring a rainbow of gems! Perfect for storage, an accent piece, or even seating, fall in love with these collapsible storage solutions! Break them down and put them away when they’re not needed, or use them as a year-round fix for any storage need. 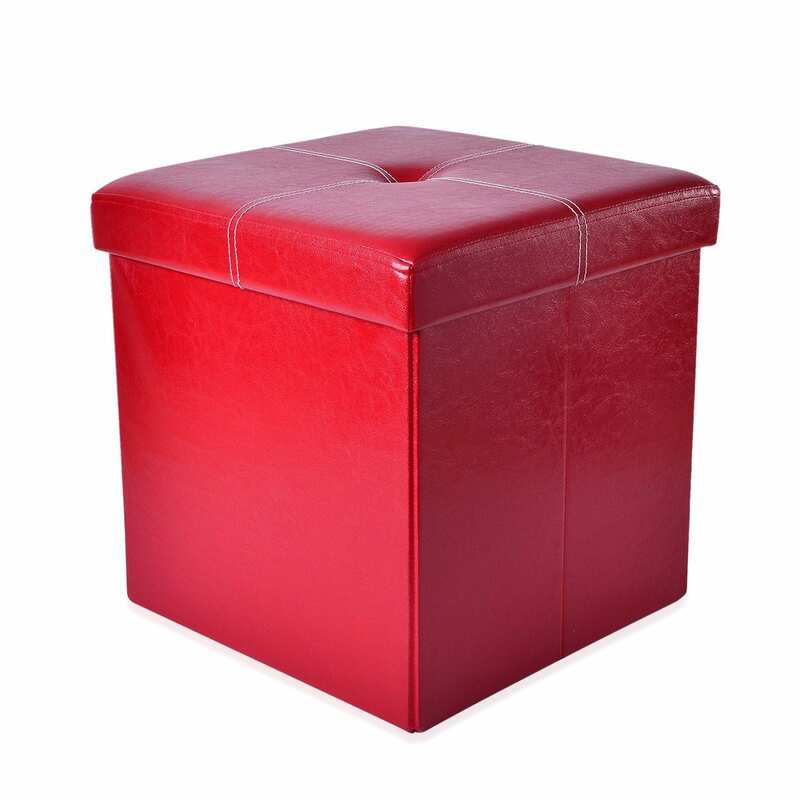 Extremely sturdy, the storage containers support up to 350 lbs. With nine colors to choose from, it’s easy to find an option that suits your space! Get warm and cozy with a flannel Sherpa blanket! Reversible, these blankets do double duty as a decorative accent. With each measuring 59 x 78” they provide ample coverage whether used as a throw for curling up on the couch or at bedtime for sweet dreams! Excited yet? This is just the beginning. Check back often, as we’ll be presenting even more incredible Doorbusters. Mark your calendars for November 24th, when we start launching these once-a-year deals! Whether a stocking stuff or full-blown gift, Liquidation Channel has you covered!